Do you know what you want? Do you know your purpose? If not, there will be some confusion in your mind that will resonate in your feelings, which will bring you undesirable results. You must be clear as to what you desire before you can see desirable results. When you have clarity, the universe will conspire and assist you in every way to match your desire. I know this is true in my life. 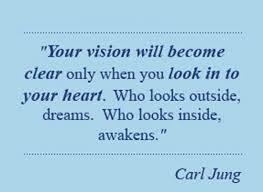 When I have clarity as to what I want, I begin to see signs all around me helping me to fulfill that vision. I wanted to write a book, and when I was clear with this vision, all things came into focus as to how to accomplish it. Now it is published and the title is How May I Serve. I have a pen name; (Karen Mathews) Here is a short video about it. This is the very first step to manifesting anything you truly want. So spend some time getting clear. Really think about what it is you want. This is probably the greatest work you can do for yourself. Look inside your heart and ask for guidance. Trust that the universe, is always listening. Believe that you can be, do, or have want you want, and take action, when you get clear. Soon it will become a reality. It will feel so good when you have that clarity! Here’s to manifesting your dreams! This entry was posted on Tuesday, February 10th, 2015 at 3:55 pm and is filed under Art of Thinking. You can follow any responses to this entry through the RSS 2.0 feed. You can leave a response, or trackback from your own site.